With Wyoming and South Dakota in our rear view mirror, we look toward Colorado, and a hot spot I have been anxious to visit. Trinidad Colorado is located just a few miles north of the Colorado – New Mexico border, and home to the Trinidad Reservoir. This area also is where I hope to fill in a few target birds, like the newly spilt Woodhouse’s Scrub Jay, Pinyon Jays and Prairie Falcons. Jeanne and I parked the 5th wheel in the Trinidad Lake Campground, and found it to be perhaps the nicest campground we had ever been in. Most campgrounds are primitive sites, with an occasional area having water but that is it. The Trinidad Lake CG had power at each site, beautiful restrooms, complete with showers, and a laundry facility. This all mixed in with a very nice bunch of birds. The very first thing I noticed was a Williamson Sapsucker on the tree as I backed the 5th wheel into our assigned site. Before we could even get camp set up, one of my targets flew over head and landed in a nearby Juniper tree. 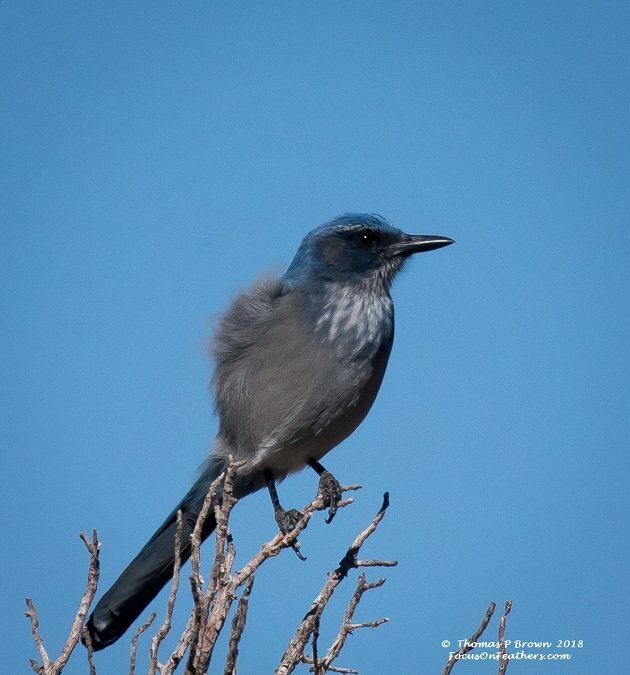 A new Lifer, the Woodhouse’s Scrub jay was split away from the Western Scrub Jay. The resulting spilt added the California Scrub Jay as the other half, and a bird that was much more common for the west coast where I have been frequenting. Here is that Williamson’s Sapsucker. This lovely bird is the new Woodhouse’s Scrub Jay. We have encountered quite a few Mountain Bluebirds in the last 3-4 weeks, but the bulk have been the grayer females. They still have a blue back, and primaries, but just don’t pop like the all blue males. 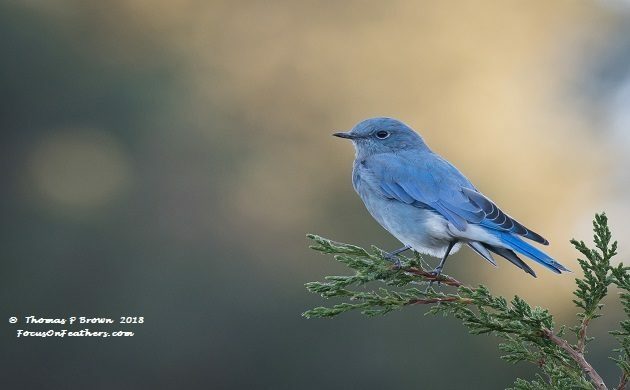 Here at Trinidad, I was able to find some male Mountain Bluebirds, as seen below, and even a few Western Bluebirds. 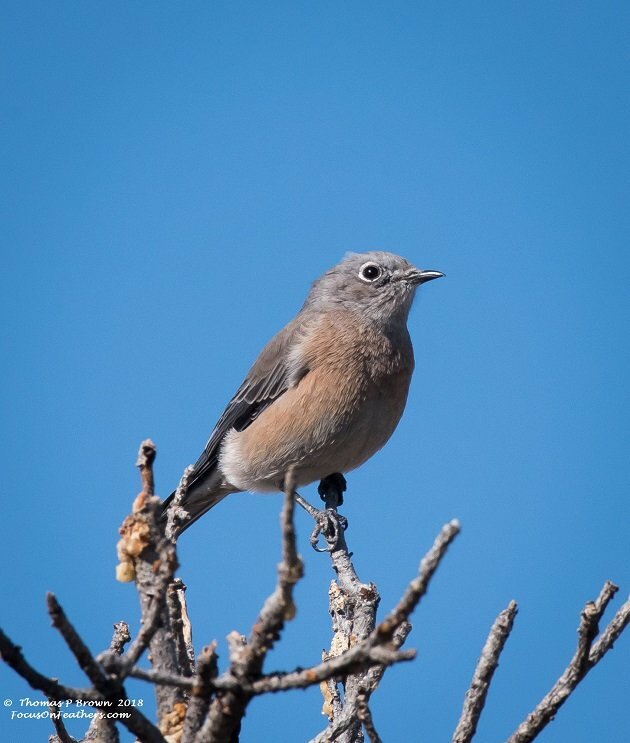 Here is the gray toned female Mountain Bluebirds. 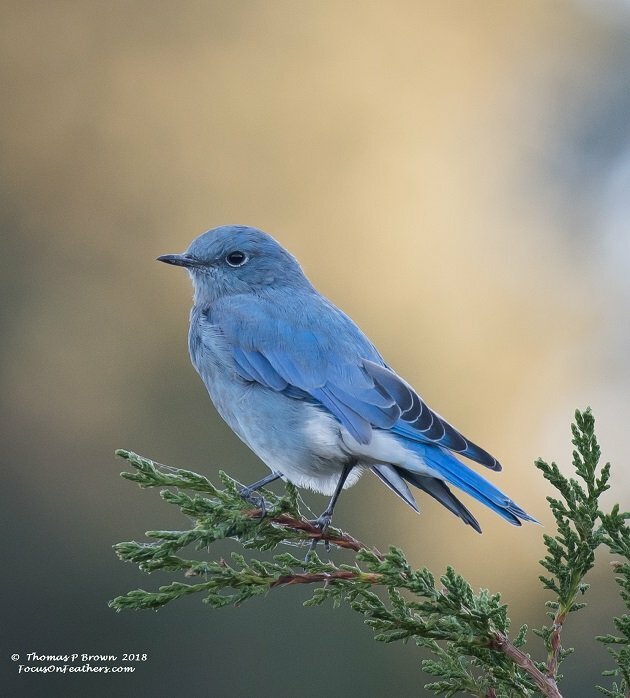 And this is the all blue colored male Mountain Bluebird. One morning, I woke up to see a White-breasted Nuthatch in the tree right behind our 5th wheel, but before I could get out there with my camera, it was gone, never to see seen in the next three days. 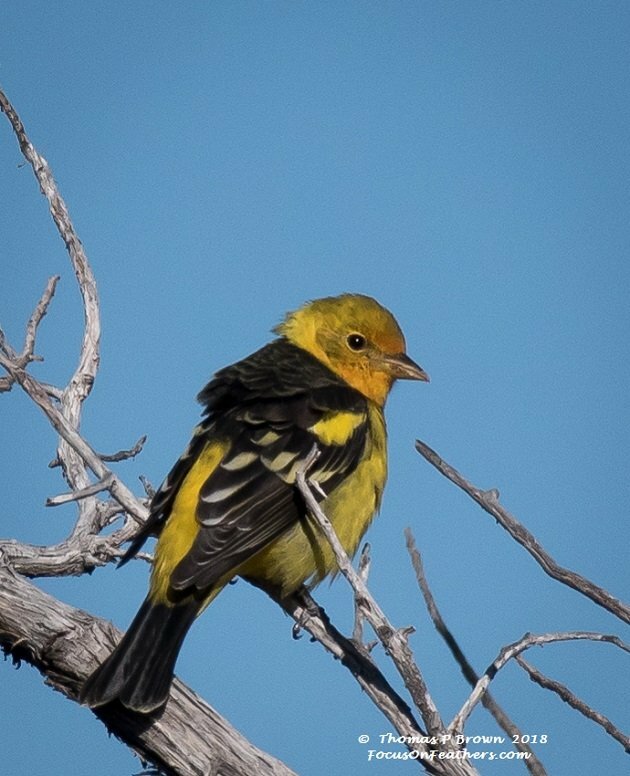 While I stood there looking for it, a beautiful male Western Tanager showed up for his big chance to be featured on 10000 Birds. 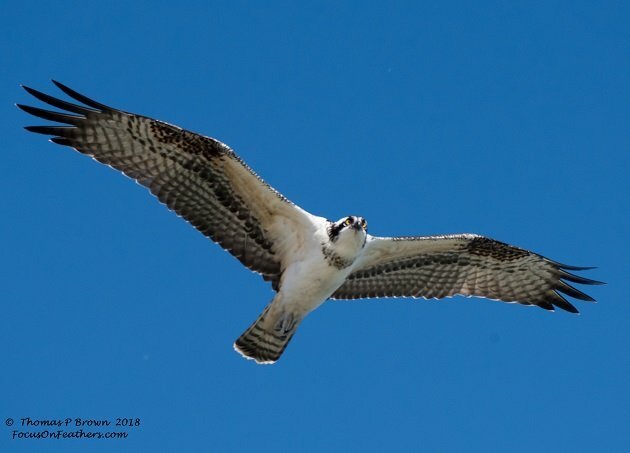 We took a break and tried our hands at fishing, with no luck what so ever, but the many Osprey over head all seem to be able to find fish. Guess I was just not holding my mouth right? The west end of the lake has been designated as a Watchable Wildlife Reserve, with some nice walking trails and a couple of very nice hides built overlooking some varied waterways. Mallards, Blue-wing Teal, American Wigeon, and a bunch of American Coots were taking advantage of the well managed wetland areas. 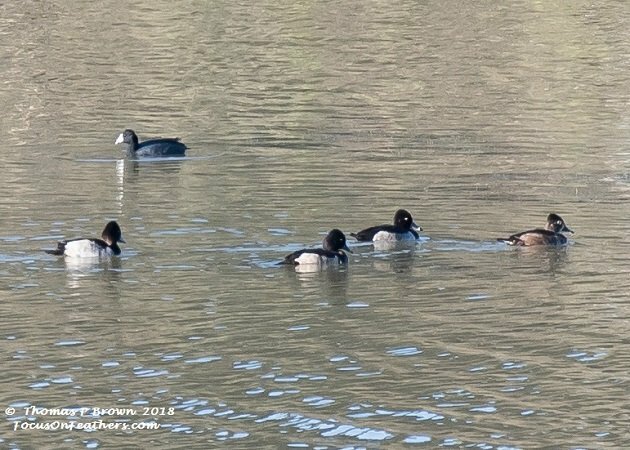 In the past, seeing some of these Ring-necked Ducks would have been rather scarce, so here is a shot of the small group that were on the larger pond. As we walked back along the trails, we flushed a Prairie Falcon out of the rim rocks above our head. It was gone so quickly, there was no chance to get a photo. 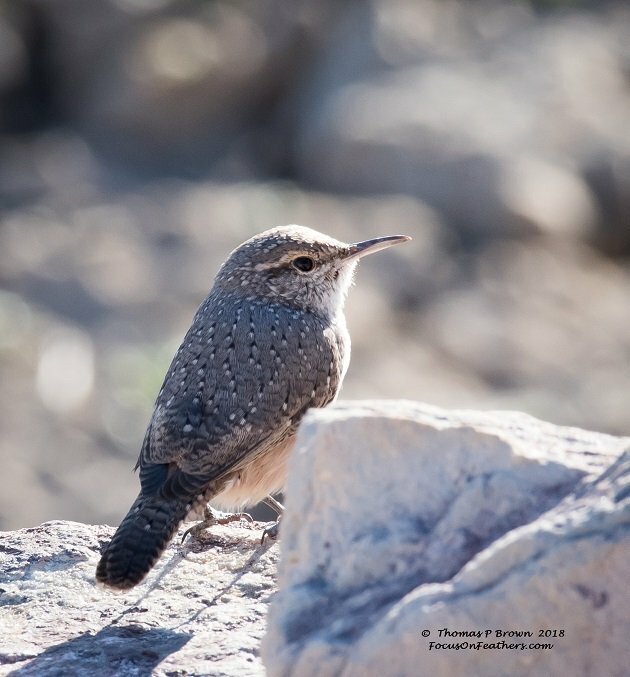 Right after that, I spotted a Rock Wren, hopping around the nearby rocks, and went in search of a nice picture. Of course, as I focused on the Rock Wren, the Prairie Falcon flew back and directly over my head, again….no picture! It’s not Prairie Falcon, but it is a great little Rock Wren. 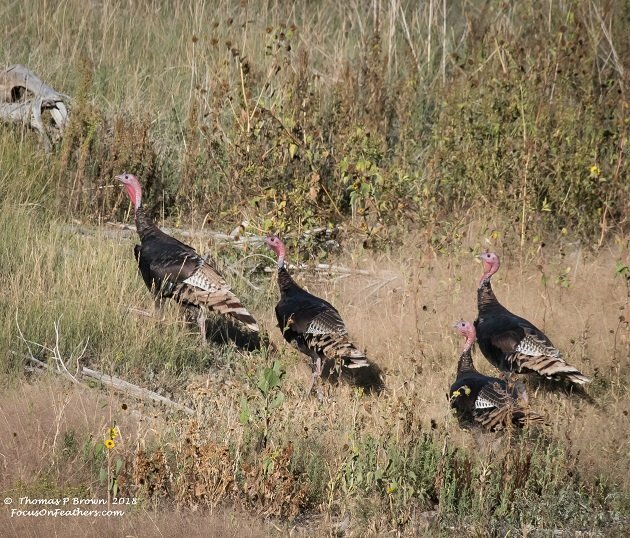 We got to see several Bands of Wild Turkeys around the lake. This male Lesser Goldfinch posed nicely for me. We have been feeling a push to get the 5th wheel down to Tucson, Arizona, which will be our home for the winter, and get prepped for another trip out of the US before the end of the year. So, we were off and away to Dalhart, Texas, and the Rita Blanca Reservoir. Following along with some of the eBird.org reports, there have been a huge bunch of warblers and other migrants gathering around the lake in the last couple of weeks. We had no real plans to go to Texas, but the last report from Rita Blanca was very impressive. For those of you that have never been thru any part of Texas, especially the northwest corner, it is very flat! And, I might point out, incredible windy! Driving down the highway, with a posted speed limit of 80 MPH, I am doing a very cautious 55-60 MPH, and battling a 25-35 MPH cross wind. Our 30 foot 5th wheel has quite a bit of windage, which is designed for head winds, as we travel down the road. Winds coming from the side make it really bounce around, so I wanted to get off that highway as soon as possible. We got to the RV Park in one piece, and get set up in time for me to make a assessment of the lake before dark. The man made body of water is narrow, but nearly a mile long, and had an incredible number of waterfowl on it. 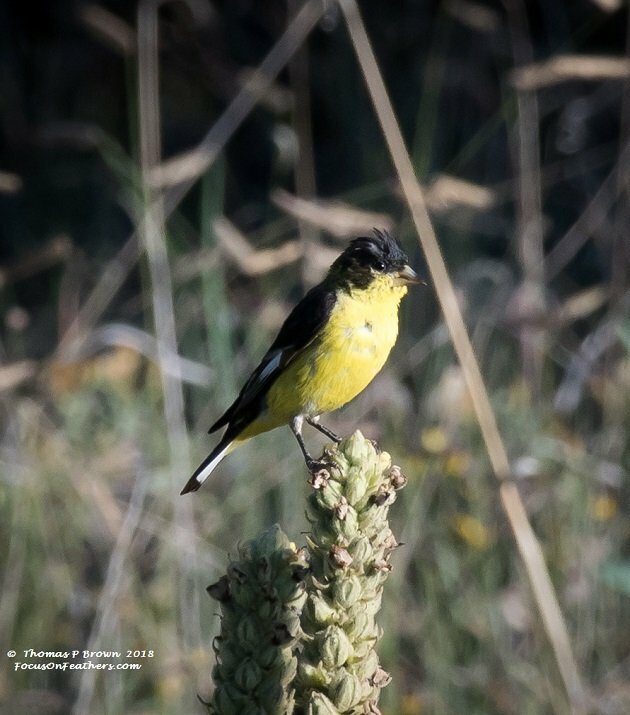 The riparian areas were well covered in willows, cattails, alders and much other nice bird holding type cover. The next morning, the winds showed no signs of abating, and if possible might have gotten a bit stronger, along with some dark clouds that threatened rain. I spent half a day walking along the lake, hoping for things to calm down, but no luck. 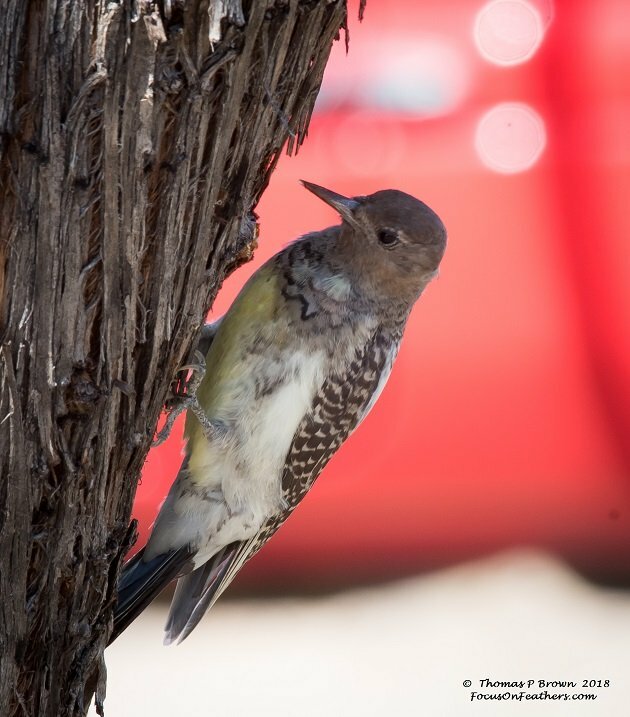 There were a few birds moving around, some basics, like Yellow-rumped Warblers, Chipping Sparrows and Ruby-crowned Kinglets, along with the large numbers of ducks, but nothing compared to the reports that had been posted. The largest group of ducks turned out to be the Ruddy Ducks, with well over 200 in three or four large rafts. Northern Pintails, Mallards, Blue-wing Teal, Redheads, Gadwalls and even one single Canvasback covered the lake. 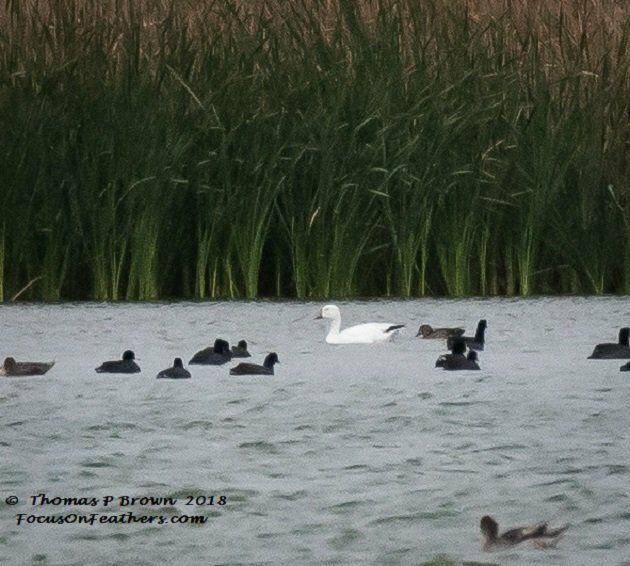 The biggest surprise came when I spotted a Snow Goose on the far north end of the lake. Next week we will spend some time in New Mexico. There are some quail I would like to track down, as well as some of these migrant warblers that seem to be just ahead of me. We also are taking a couple of days to photograph the Albuquerque Balloon Festival.